I'm sure he's used to it by now, but it must rankle with John Hackett just a bit that almost every time his name is mentioned it's followed by "brother of Steve Hackett". It's inevitable given his sibling's stature and history but also because John Hackett first came to our attention when providing delicious flute on his brother's debut. Subsequently, he was also a member of the touring band too. I have vivid memories of watching John Hackett play bass pedals with his hands. However, he's not joined at the hip to his brother and has enjoyed a varied career with the likes of the English Flute Quartet, the ambient group Symbiosis as well as commissions from the BBC. This is his second Rock album, following 2005's 'Checking Out Of London', and overall it's a fine piece of work, although definitely "a grower". I've one small reservation – his voice. John Hackett can sing of that there's no doubt, so it's not as if he can't carry a tune but he lacks that bit of dynamism which sets apart the really top singers. That said, after my first listen to this album, I was going to be harsher about this particular aspect but repeated hearings have softened my opinion and, for the most part, his voice works well within the context of the songs. The title track has a simple but very effective guitar refrain, a very pleasing shuffle beat and a fine hook; as such it's one of my highlights. The flute work is delightful and reminds me of Ian Anderson/Jethro Tull. The closing instrumental section with a Steve Hackett style of soloing gets quite heavy; it's the heaviest track on the album. 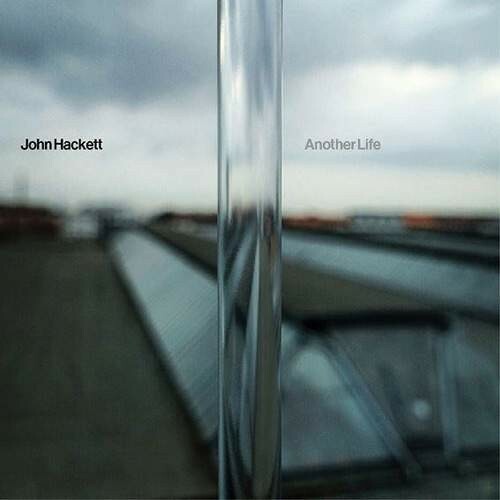 On the verses of 'Look Up' John Hackett's voice puts me in mind of an amalgam of Al Stewart ('Year Of The Cat'), and Neil Tennant (Pet Shop Boys), comparisons that occur across the album. Once again he adds his inimitable stamp to proceedings as he does on the tremendous 'White Lines' and most of the other tracks across the thirteen on offer. 'Poison Town' and 'Magazine' hint at Neo-Prog where the orchestrations are delightful. 'Burnt Down Trees' has a Peter Gabriel feel and 'Satellite' has Genesis-like acoustic guitars – shame about the harmonica. 'Forest' features delightful piano and guitar, elements of this track are right out of the Steve Hackett manual. 'Rain' has a catchy theme and 'Actors' recalls the seventies with the use of electric piano. Again Steve Hackett's contribution is splendid. 'Another Day, Another Night' bounces along in a jolly style, the brass giving it a Phil Collins vibe.